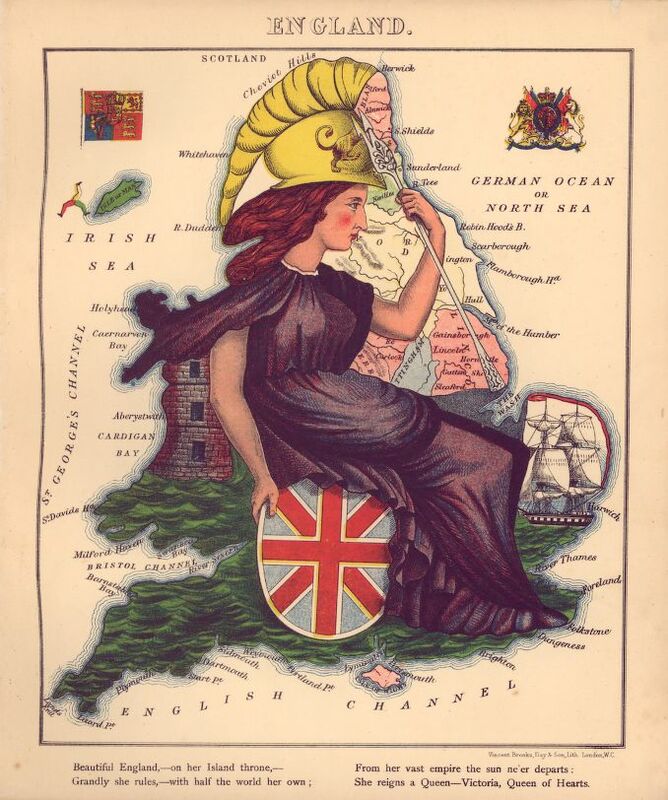 The young lady who is responsible for these Sketches is now in her fifteenth year, and her first idea of Map Drawing is traceable to her meeting with a small figure of Punch riding on a Dolphin, and contrived to represent England. 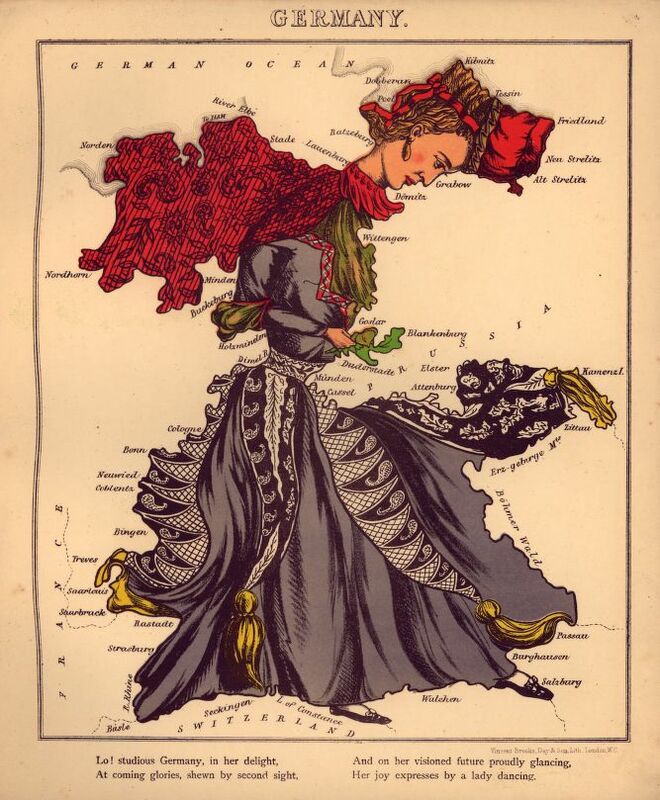 The thought occurred to her when seeking to amuse a brother confined to his bed by illness. 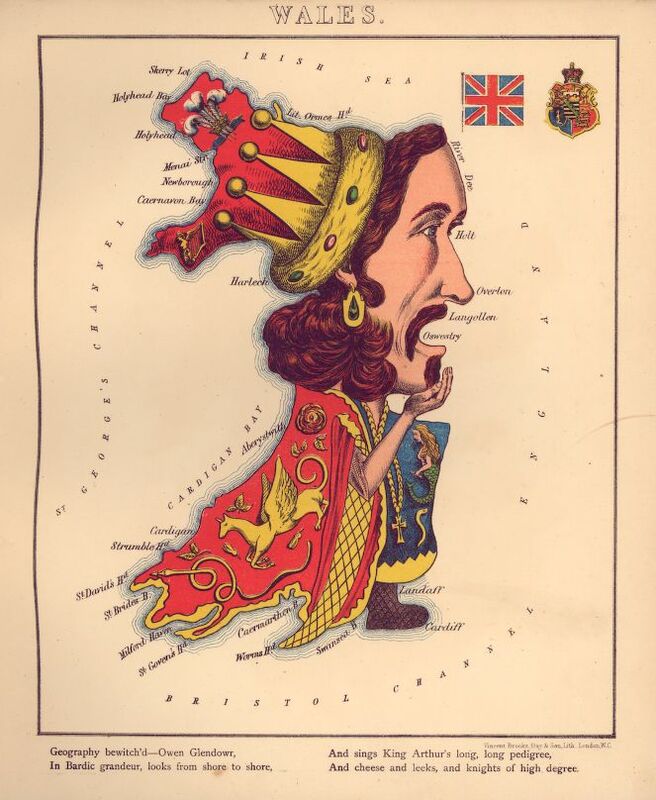 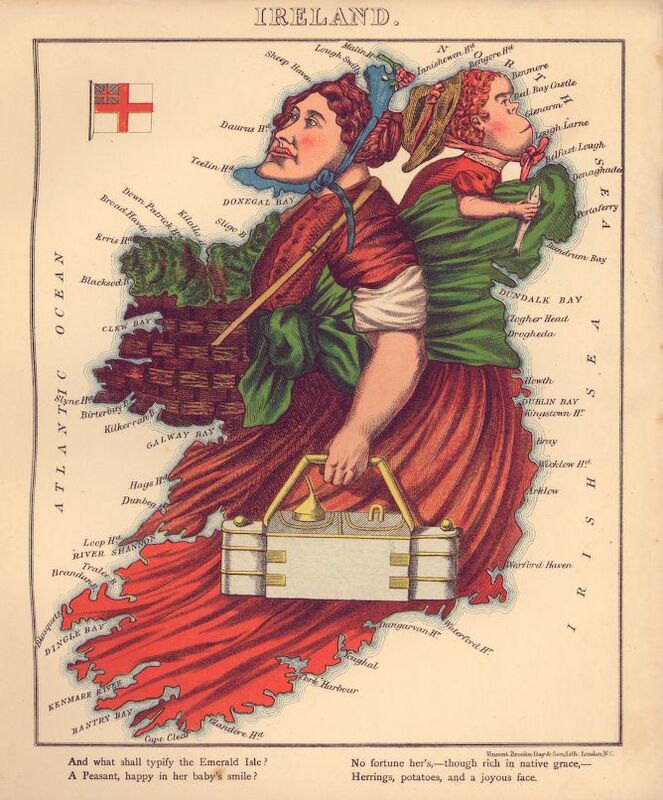 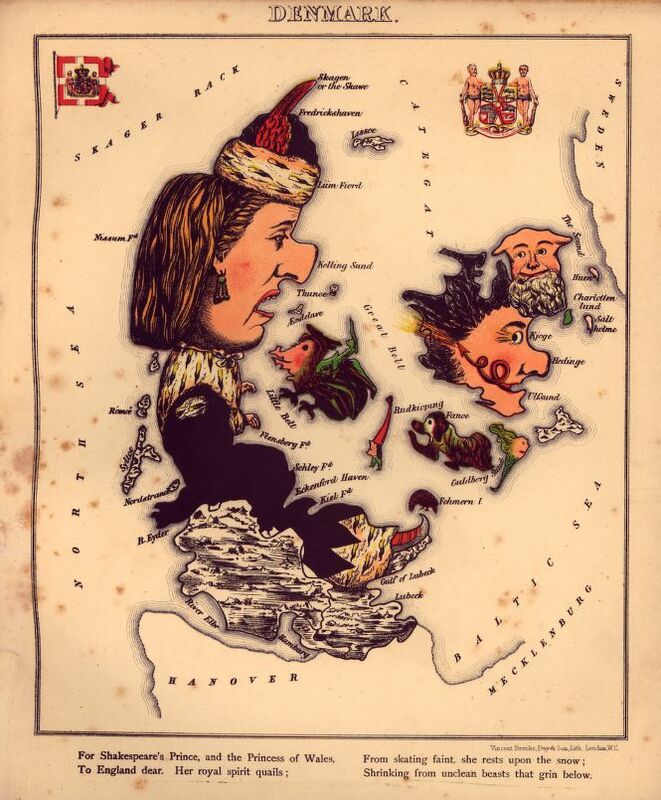 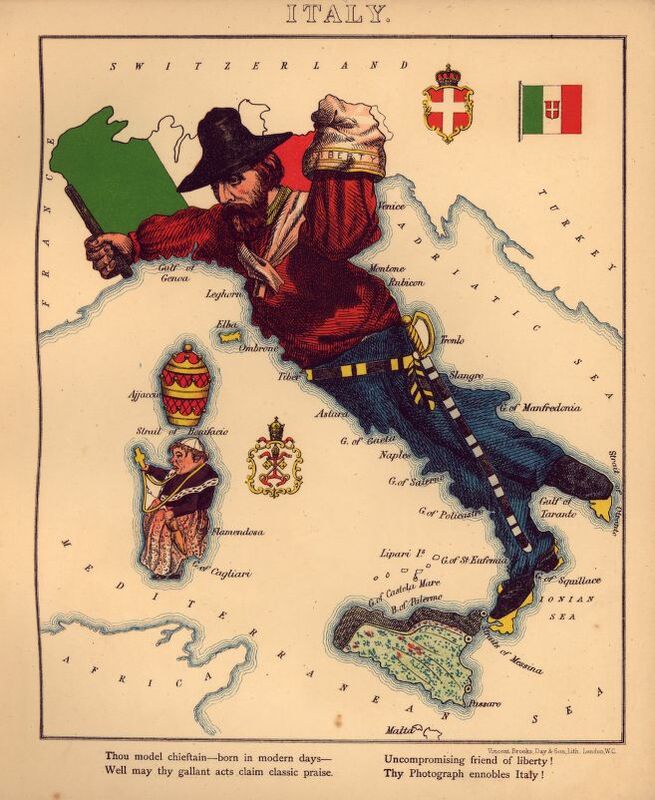 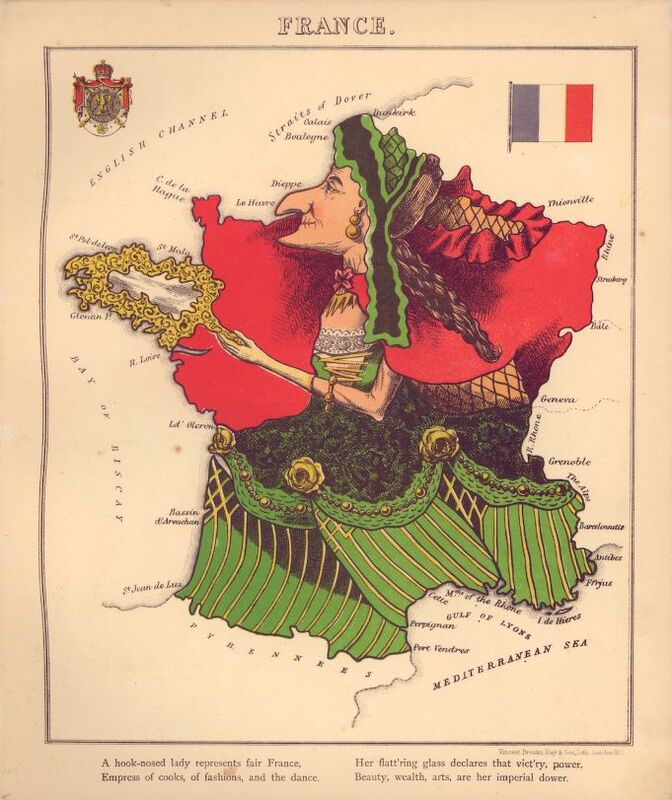 The resulting fanciful caricatures include England in the form of Queen Victoria; Scotland as a gallant Piper struggling through the bogs; Wales in the form of Owen Glendowr; Ireland as a Peasant, happy in her baby’s smile; France as an Empress of cooks, fashions, and the dance; Spain and Portugal joined in lasting amity; Italy as a revolutionary figure complete with liberty cap; Prussia in the personages of Friedrich Wilhelm and Prime Minister Bismarck; Holland and Belgium as female figures who represent a land . 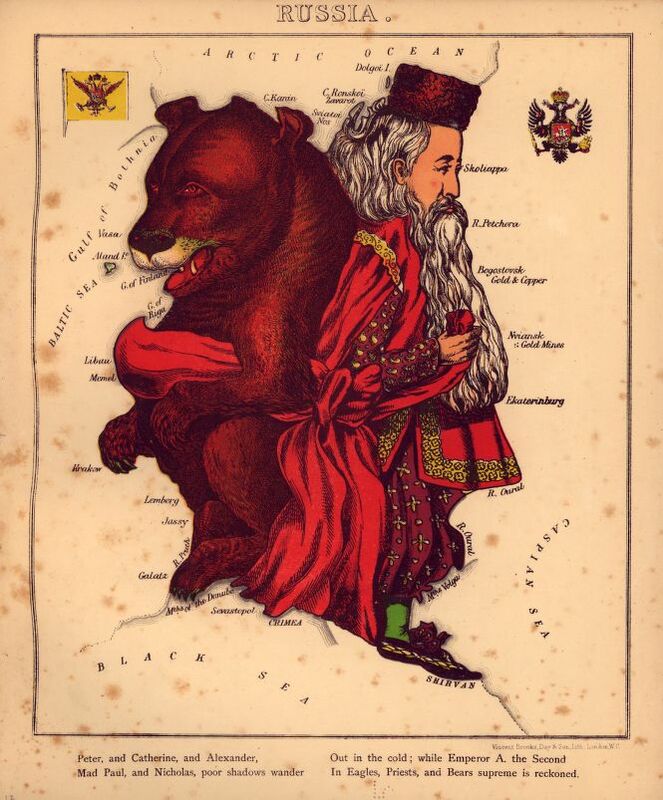 . . and perfect art made grand; Denmark as a female figure with ice skates; and Russia as the classic bear. 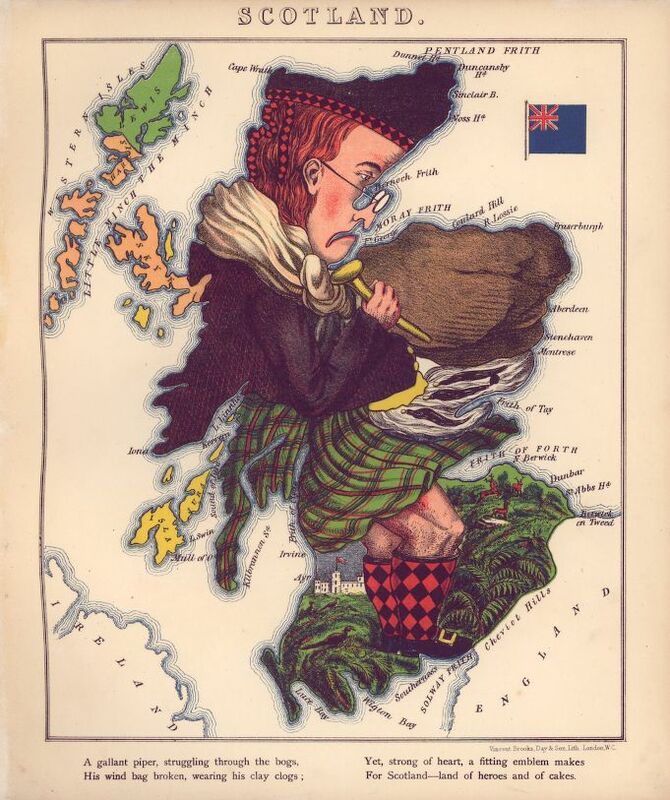 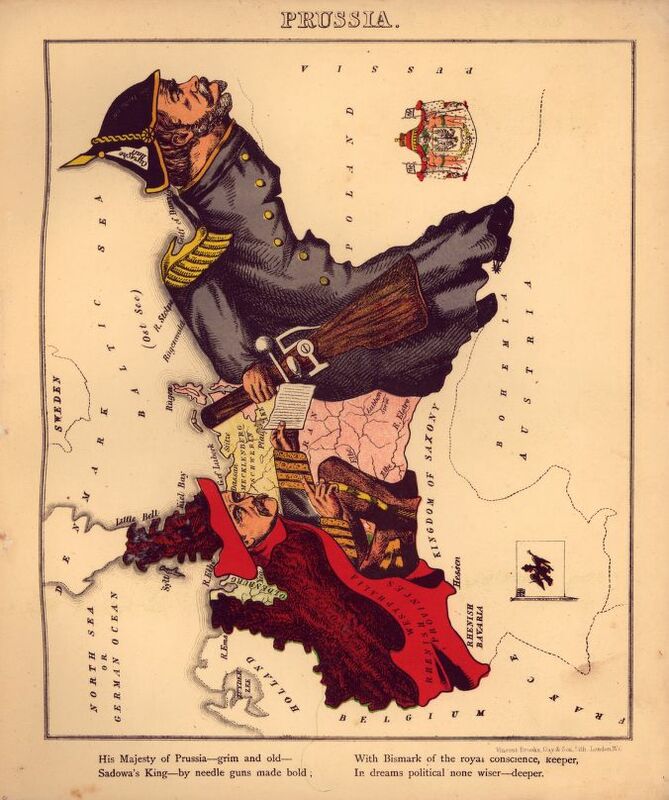 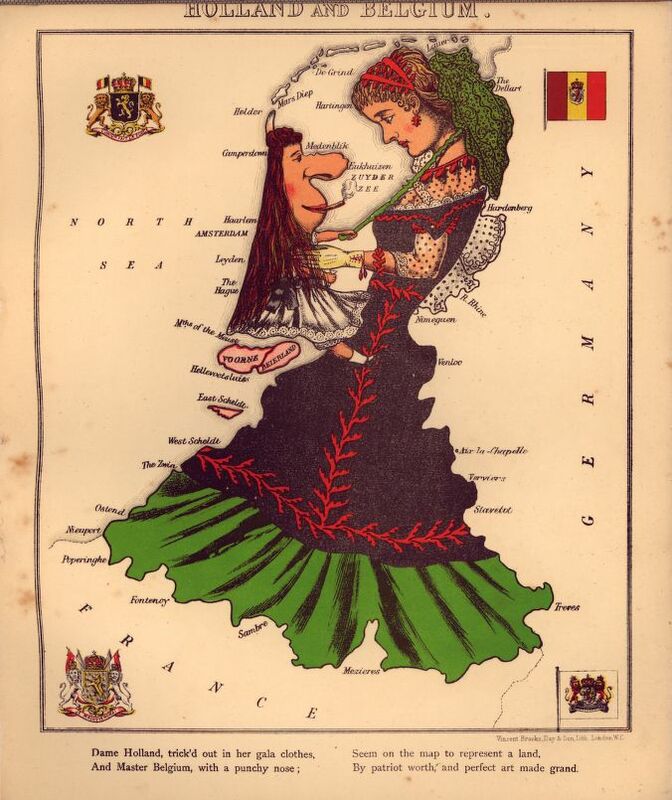 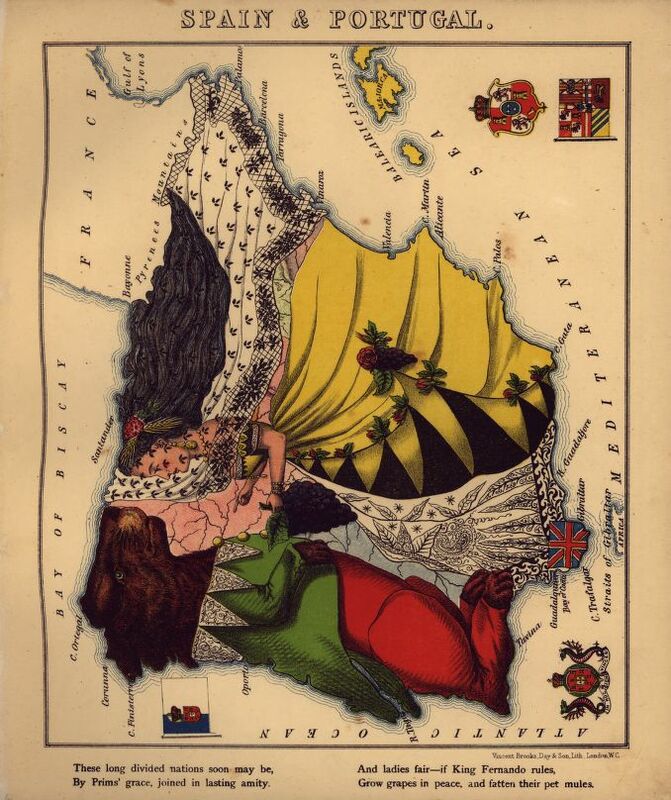 More anthropomorphic cartography here in these cartoon maps of Europe from 1870 and 1914, and also (in a slightly different direction) these landscapes containing human faces.